How was your weekend? If you follow me on Instagram and watched my Insta stories, then you know that I FINALLY got my hair color touched up over the weekend, YAY! Unless you live under a rock, then you must have heard how everyone is raving about the Chloé espadrille wedges and Marc Fisher espadrille wedges. 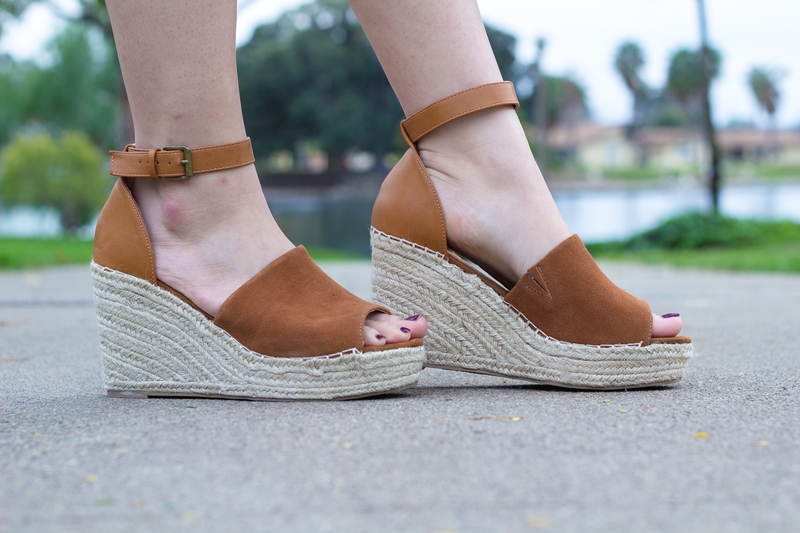 I totally get what all the fuss is about because these platform wedges are seriously the PERFECT shoes for spring. They look super cute with dresses, shorts, and even pants or jeans. Unfortunately, the price was just not right for me. I would never splurge that much for a pair of shoes. These Chloé and Marc Fisher dupes are under $60 and comes in taupe, cognac, and black. I would seriously grab them before they run out of your size because these babies are seriously perfection!! 😍 I’m even debating getting the taupe ones just because of how perfect they are for spring! 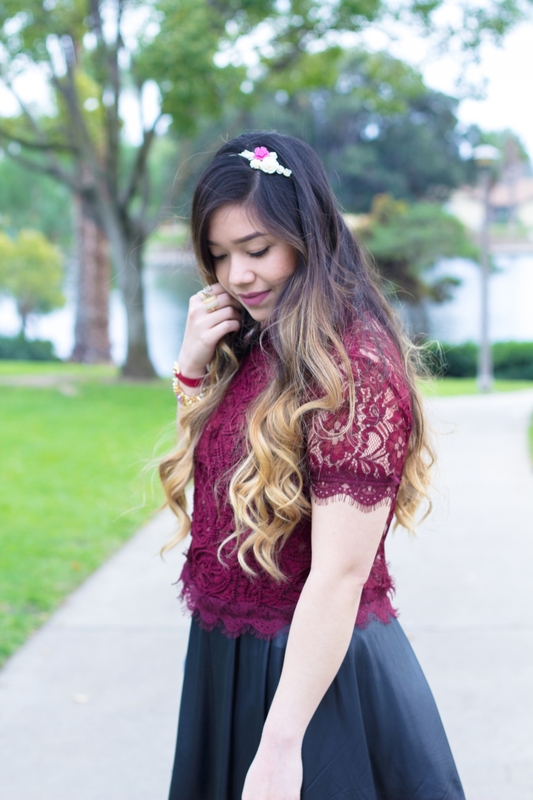 I love your lace top and that bag is adorable, perfect for spring! I’m in love with this entire outfit. I can’t believe how affordable that darling bag is, too! 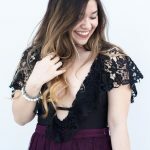 Omg this outfit is so dreamy! 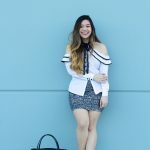 I feel like I could wear all these pieces separately and pair it with so much! These are so cute! I really do love wedges and I can’t wait for the weather to get warmer ! Absolutely loving this whole outfit. Your bag is just dreamy and the wedges are perfect for spring/summer! Love this! I just got a pair of those wedges in taupe and love them! love the bag and wedges, both are so cute! I loveee your outfit babe! That blouse looks especially amazing on you. Great post!